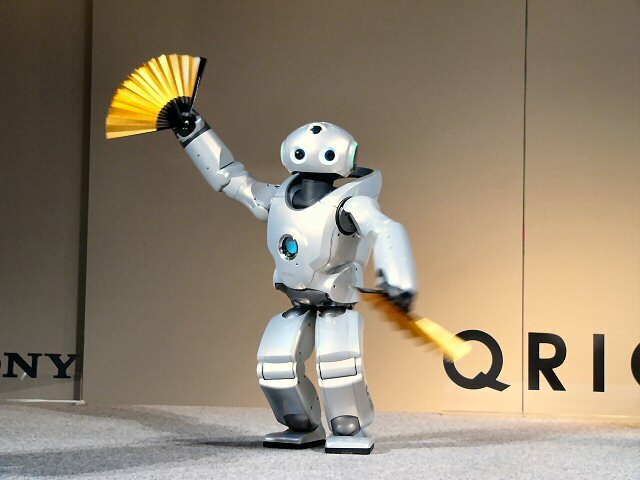 World's First Running Humanoid Robot..and they Dance!!! Tokyo Japan, December 18th, 2003 - Sony Corporation today announced the development of dramatically enhanced motion of Sony's humanoid robot, enabling integrated motion control for walking, jumping and running. 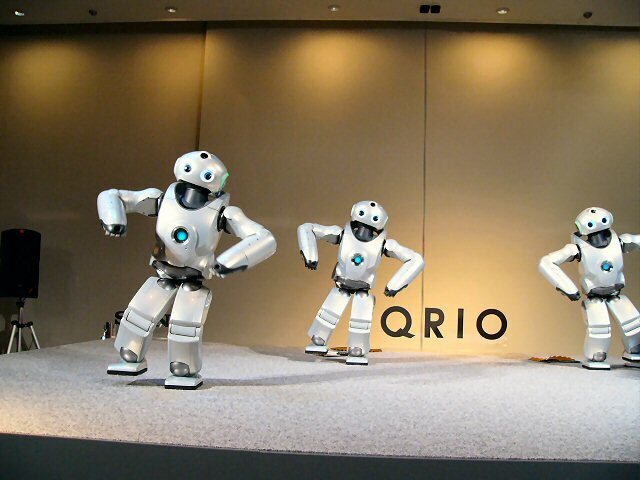 By applying this technology to QRIO, which is one of Sony's technology platforms, Sony has successfully created the world's first* running humanoid robot. Last edited by bRyaN; December 19th, 2003 at 12:56 PM. These pictures cracked me up. Looks like we will be terminated before too long folks. They are cute NOW. Thanks for the Links Bryan. Check out all the avi's on the second link. god damnit now theyre better than me at math AND dancing. ya, these little guys are badass! If ya look close you can see BR66 and Ed-209 in the background. Spartan Camp #243 - 50 gestures + Optional "Running/Jumping Study"
Will jumping around get me anywhere?